단양 성재산에 있는 돌로 쌓아 만든 산성이다. 주위가 약 900m이나 대부분 붕괴되고, 북동쪽에는 안팎으로 겹쳐 쌓은 부분의 안쪽 성벽이 일부 남아있다. 성의 남서쪽, 남쪽, 동남쪽의 3곳에 문이 있었을 것으로 생각되는 성벽의 절단부가 있다. 북쪽은 남한강과 가파른 절벽의 자연적인 지리조건을 최대한으로 이용하고 있다. 1978년 성내에서 적성비가 발견되었는데 이를 통해 신라와 고구려의 세력관계 변동을 알 수 있다. 비석외에 삼국시대의 토기조각과 기와조각도 발견되고 있으며, 고려시대의 유물도 있어 대략 고려 후기까지 오늘날의 단양지방을 다스리는 읍성의 구실을 했을 것으로 보인다. 축성방법이 매우 견고하게 되어있어, 신라의 성 쌓기 기술을 연구하는데 중요한 자료로 평가된다. Jeokseong is a stone wall fortress of Seongjaesan Mountain in Danyang. The circumference of the walls is about 900 meters in total, but most of its walls have been destroyed. On the northeastern side there remain parts of the inner wall. At the southwest, the south, and the southeast of the fortress there are cut spaces where gates are assumed to have existed. On the north side the wall was replaced by the Namhangang River and a steep cliff, exploiting the location’s geographical advantages. 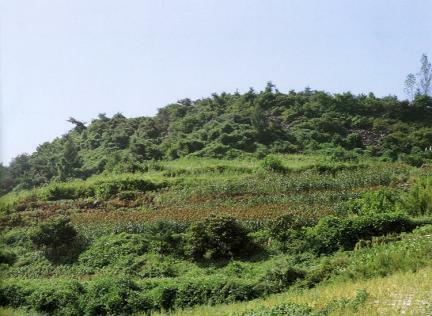 In 1978, Jeokseongbi Monument was found in the fortress compound, from which changes in the balance of power between Silla and Goguryeo can be seen. Besides this monument, broken pieces of earthenware and roof tiles from the Three Kingdoms Period as well as relics of the Goryeo Dynasty were discovered. This indicates that the fortress had a role in governing the present-day Danyang area as the rural center until the end of the Goryeo Dynasty. 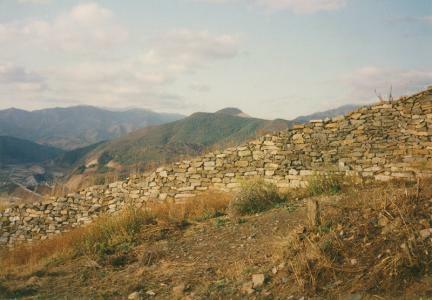 Since this fortress was built very strongly it is regarded as a very important resource for the study of techniques of fortress building in the Silla Dynasty.